I’m very pleased to say that my monograph Mobility in the Victorian Novel: Placing the Nation is scheduled for publication with Palgrave Macmillan in September 2015, and a short blurb and contents can now be found on the publishers’ website. I’m very much looking to speaking at the symposium Texts in Place/ Place in Texts at Royal Holloway on 21st May 2015, which brings together geographers and literary scholars to discuss their understandings of the relationship between texts and places. Mr Micawber’s humorous denial of the distance between Britain and Australia provides a comic strain to the emigration story of Dickens’s David Copperfield (1849–50), but its comedy belies an important point about the representation of place, and especially the national-global politics of representation, in the Victorian novel. In this paper, I will use David Copperfield to think about the representation of place in terms of narrative structure: how much narrative space is afforded to different places, how places are made more or less present through various representational modes, and how structures of nation and world intersect. I will suggest that David Copperfieldprovides an exemplary model of the structural delineation of place in the Victorian novel: a tight yet protracted core of the nation-space is set against an absent, often “imaginary”, world at large. Yet David Copperfield also calls for a closer reading of this structure, and I identify a paralleling of national and global places in the narrative to suggest how we might read for more subtle inferences of global resonances in the spaces of the Victorian novel. Shakespeare on the Global Stage: Performance and Festivity in the Olympic Year, edited by Paul Prescott and Erin Sullivan, has just been published by Bloomsbury’s Arden Shakespeare series. The collection takes a range of perspectives on Shakespearean performance in 2012, emerging from the Year of Shakespeare project on the World Shakespeare Festival. I am pleased to have contributed a co-written essay, with Dr Peter Kirwan (Uni. of Nottingham) on “A Tale of Two Londons: Locating Shakespeare and Dickens in 2012”, which parallels the Shakespeare Festival and the Dickens bicentenary to explore the cultural politics of locating authors within national literary landscapes, and how this plays out within an international cultural context. In the new issue of Victoriographies (4.2) I review Michael Hollington’s The Reception of Charles Dickens in Europe (Bloomsbury, 2013). It’s an impressive two-volume collection of essays with 48 international contributors covering Dickens’s reception in 28 European countries. 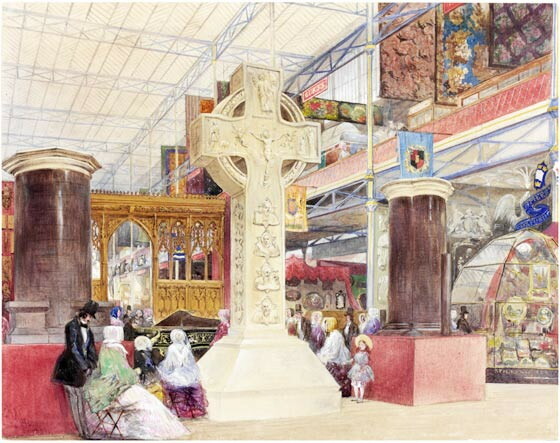 In the review I discuss the volume’s themes of national identity, the influence of Dickens on European authors, Dickens and the visual arts, as well as the substantive publication histories assessed in different national contexts. My article “A brown sunburnt gentleman”: Masculinity and the Travelling Body in Dickens’s Bleak House is now available online in the new issue of Nineteenth-Century Contexts (36.4) – a special issue on the Male Body in Victorian Literature and Culture, edited by Nadine Muller and Jo Parsons. 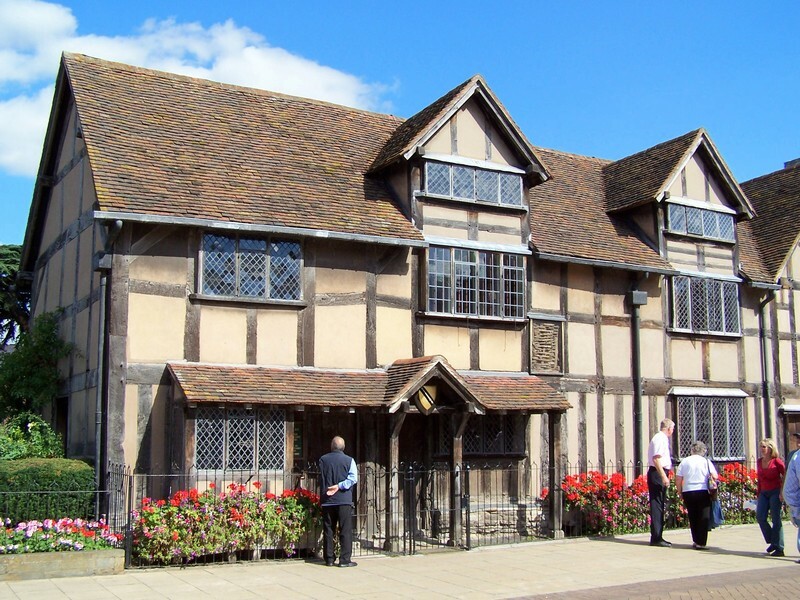 I spent Friday 11th October in Stratford-upon-Avon at the launch of Shakespeare on the Road, a project between the University of Warwick, Shakespeare Birthplace Trust, and Misfits, inc. to celebrate the 2014-16 anniversaries of Shakespeare’s birth and death. In what sounds like a rather wonderful (and enviable!) summer, the team are travelling across the United States visiting around 17 Shakespeare Festivals to provide an account of the as-yet-undocumented ways in which Shakespeare is performed, experienced and interpreted in US Festival settings. This symposium marked the launch of the project and was an opportunity to discuss some of the initial questions proposed by and arising from the project. Throughout the day we heard a fascinating range of papers about different aspects of Shakespeare and/in the USA: Nicola Watson spoke about Shakespeare Gardens in the US as sites of memorial and commemoration that cultivate a particularly “English”, and feminised, space; Andrew Dickson talked about Shakespeare’s presence in the history of the American West – place-names, accounts of reading on the road – a theme picked up on later in Tim Lockley‘s paper on the appropriation of Shakespeare in the colonial period as a legacy of “Englishness”. There’s also the long history of American interest in the Birthplace, including the (perhaps mythical) story of the American showman P.T. Barnum who, so it is said, tried to purchase the Birthplace in 1847 with the intention of shipping it to the USA where it would become part of his travelling circus (more on that here) – a point I picked up on at the end of my paper on the interconnections between literature, nation and place to pose the question: what if Barnum had been successful and transported the Birthplace away from Stratford-upon-Avon – so that it became, in the words of Dickens’s Wemmick, ‘portable property’? What might this lead us to ask about the location of national culture – is it in the walls of the house, the ground on which it stands, the national audience that experiences it, all of those things together; can national culture be detached from national place and still have meaning, and what alternative perspectives might new national contexts have generated? Ideas of place were central to Stuart Elden’s paper on Shakespeare’s territories which, following on from his new book The Birth of Territory, began to explore the ways in which territory is used and understood in Shakespeare’s plays. Steve Purcell also raised questions about the appropriation of space in festival contexts, where the carnivalisation of outdoor spaces often plays a central role in crafting ideas and expectations around Shakespeare Festivals and Ruth Leary spoke about festivals from a cultural policy perspective, and posed interesting ideas about the idea of creative economy and cultural entrepreneurship today and in Shakespeare’s own activity. I was pleased to have the opportunity to participate in such an enjoyable day generating some stimulating research questions, and it’ll be fascinating to see how the project develops over the next couple of years. For students at the University of Cagliari who attended my classes this week, here are some images and further reading that I referred to. You can read a contemporary response to the Great Exhibition here, and the full text of Dickens’s “The Last Words of the Old Year” (quoted on the handout) can be read online here. 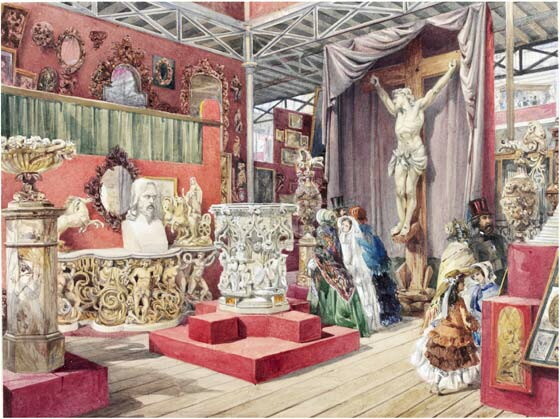 I have also written about the ideas of “people and things” at the Exhibition in the context of Henry Mayhew’s novel 1851 and Bleak House. This image of the London slums is taken from this website on Victorian London where you can find some more contemporary writing about the slums and related issues. 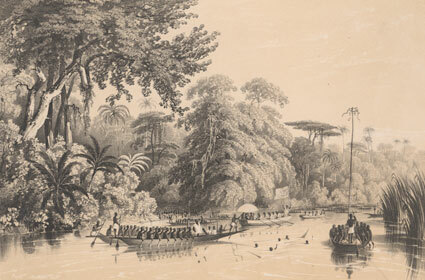 Dickens’s writing on the Niger expedition is discussed in the book by Tim Carens cited on the handout, plus a number of others including Grace Moore’s Dickens and Empire (2004). Finally, this podcast that I recorded for the University of Warwick’s Celebrating Dickens project is of relevance to some of the issues raised, and on the Celebrating Dickens website you will find many other podcasts and videos of interest to Charles Dickens’s life and times.